Washington – President Bush said he was “shocked” by the expectations of a United States president as outlined in the position’s job description. Bush read the job description for the first time after finding it under his desk in the Oval Office. 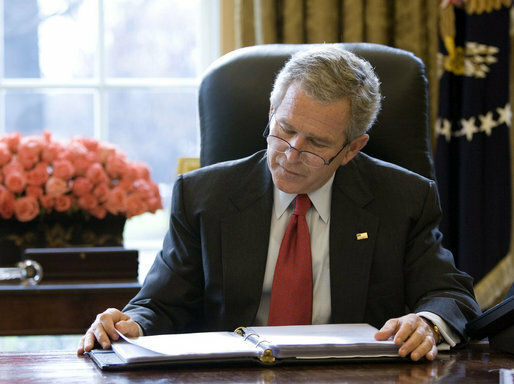 The document was apparently under the desk for Bush’s entire time in office, since being handed to him by former President Clinton during the transition between the two administrations.